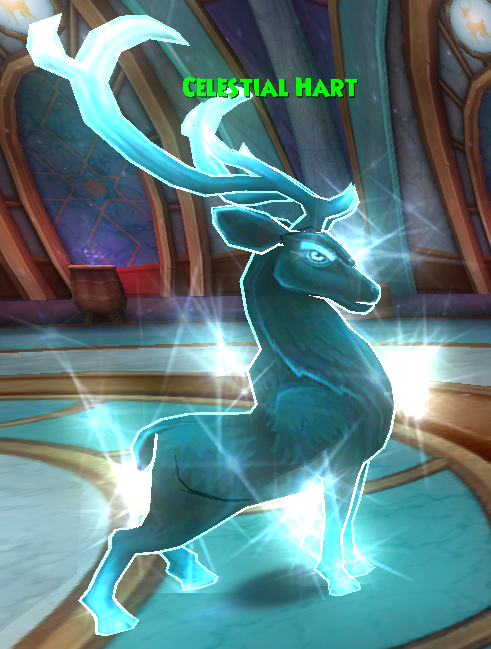 The new Astral Unicorn mount was introduced to the spiral earlier this week, and it radiates awesomeness! You can pick up yours for 7,500 crowns in the Crown Shop. 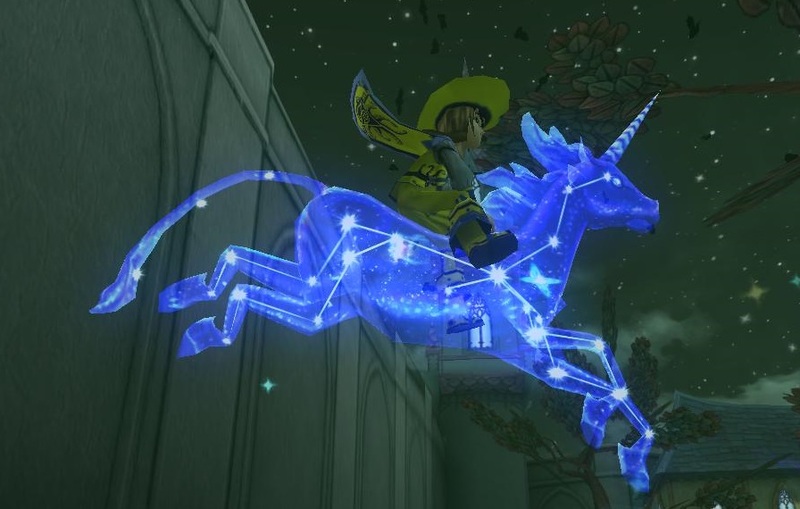 Check it out so you can gallop all over the spiral and into the stars! At first glance, the Astral Unicorn mount reminded me a lot of a favorite area of mine – the Ruined Alcazar in Khrysalis. There, you meet four aspects of the celestial zodiac (Celestial Crab, Celestial Hart, Celestial Serpent, and Celestial Phoenix) which have a similar feel and look to the Astral Unicorn. Each celestial spirit resides in a tower, and in this post, I’ll be showing you what to expect in each. The first celestial zodiac tower where you must test your might is the Crab Tower. 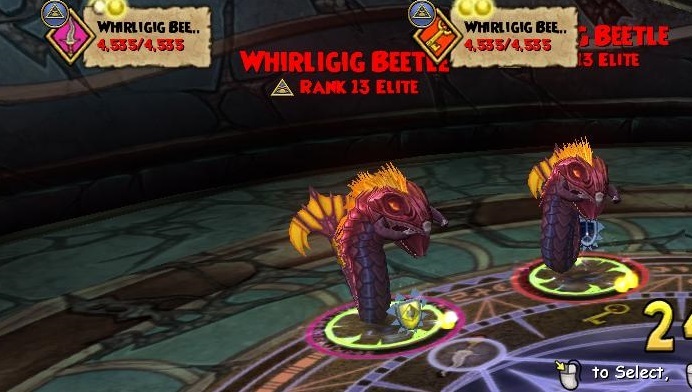 Upon entering the instance, you are greeted by 2 Whirligig Beetles (Myth, 4,535 health). You can treat this battle like you would any other mob battle – just be careful of any earthquakes they might send your way. To be on the safe side, it might be a good idea to trap before you attempt to blade here. 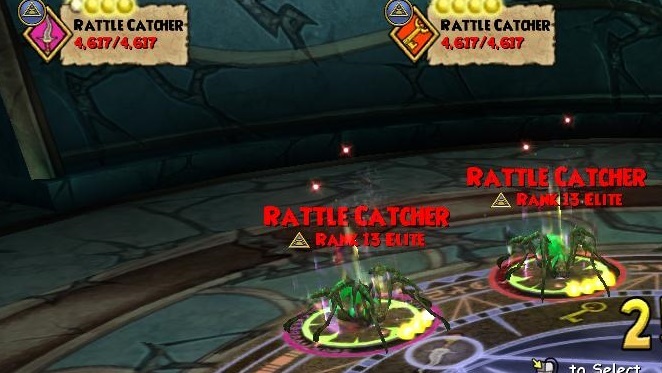 Once you deal with those nasty beetles, make your way into the Crab Cave where you’ll find 2 Deep Spawns (Storm, 14,680 health). This battle is one of the toughest in Khrysalis and is much easier to tackle with a team. 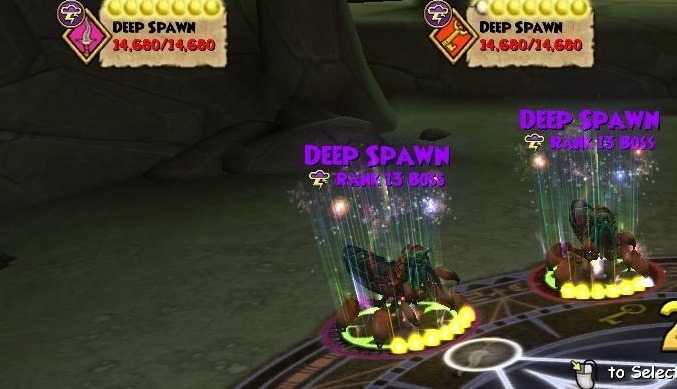 Since the Deep Spawns are storm, be prepared to take a ton of damage! If you’re going at this instance solo, try targeting one Deep Spawn at a time and pack plenty of heals. 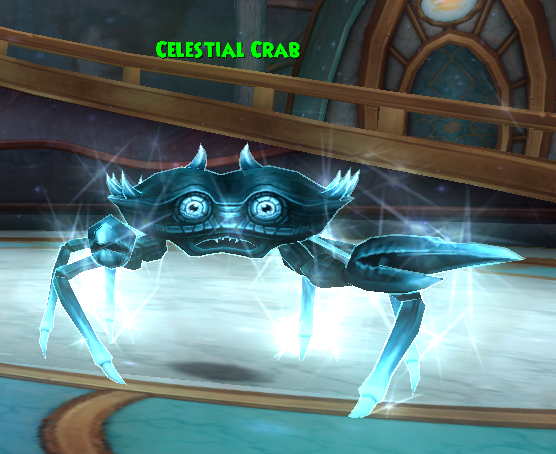 After you take care of the Deep Spawns, you’ll come face to face with the Celestial Crab. 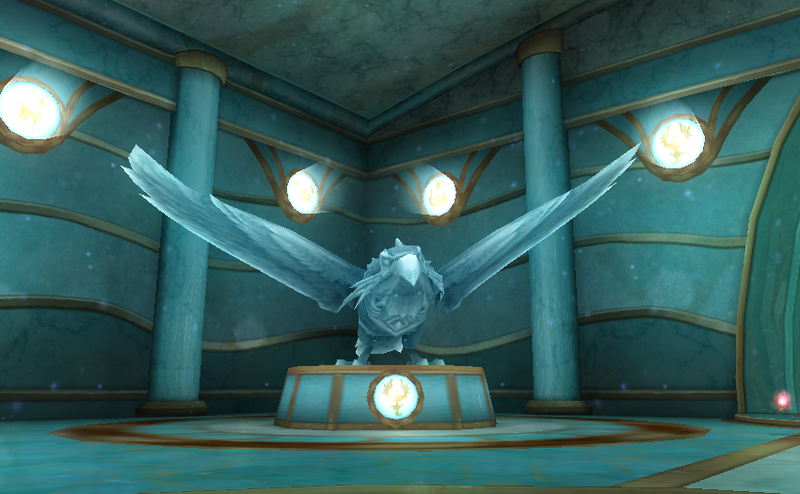 The Hart Tower is the second celestial zodiac location that you will have to fight through. Your first fight consists of 2 Lost Knights, but don’t let their identical names fool you. While they are both death and look similar, one Lost Knight is a boss! 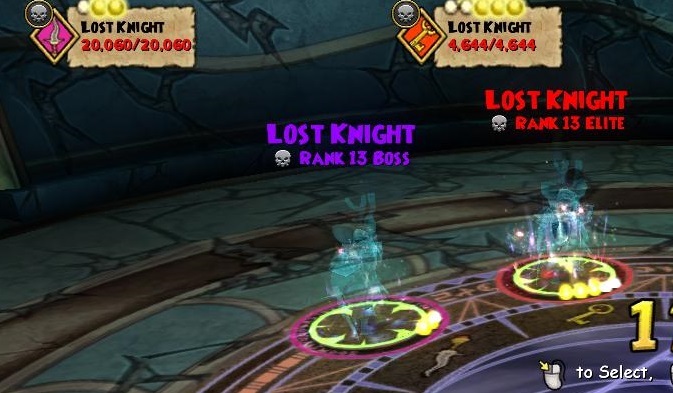 The Lost Knight boss has 20,060 health and the Lost Knight minion has 4,644 health. This battle has no cheats so you can buff up for a big hit with no problems! Unlike many other instances which have a minion battle and then a boss battle, the Hart Tower switches it up! 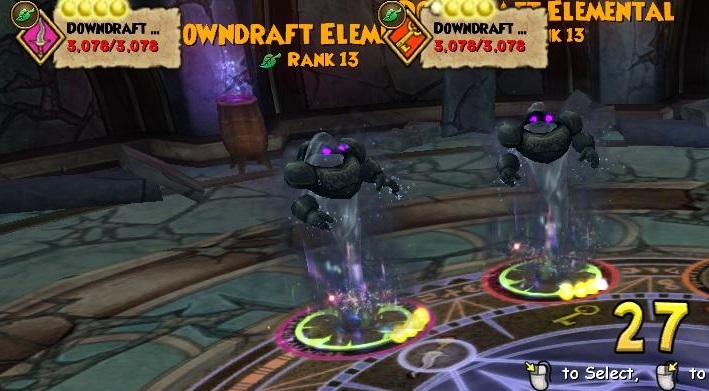 After your duel with the Lost Knights, you’ll finish out the dungeon with a mob battle consisting of 2 Downdraft Elementals (Life, 3,078 health). Typical mob strategies will work like a charm here. Once you deal with them, free the Celestial Hart from the lightning cage it’s trapped in! 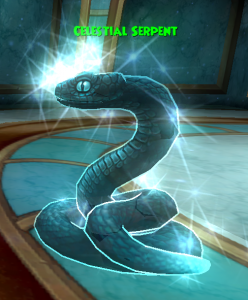 Ready for your third celestial zodiac challenge? 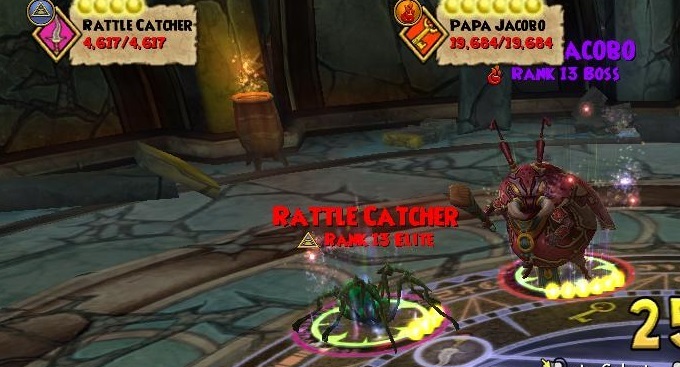 The Serpent Tower opens up with a mob battle which puts you against 2 Rattle Catchers (Myth, 4,617 health). Like your earlier encounter in the Crab Tower, you can treat this mob battle like you would any other mob fight – just watch out for any tricky earthquakes that may mess with your plans. 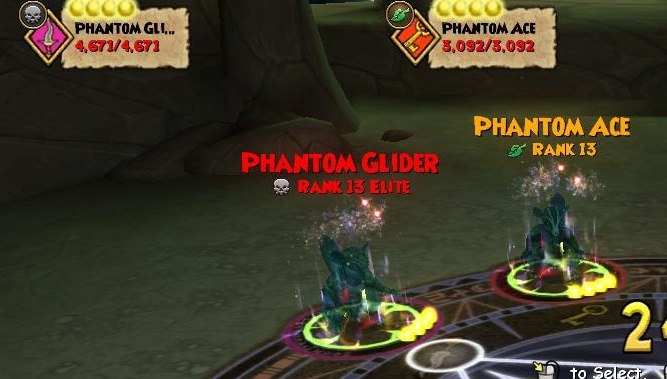 Your second battle in the Serpent Tower is another mob battle, this time with a Phantom Glider (Death, 4,671 health) and a Phantom Ace (Life, 3,092 health). One may be an elite, but they’re certainly no match for you! After you finish them off, go talk to the Celestial Serpent. Your last celestial zodiac tower is the Phoenix Tower. Upon entering the tower, you’ll notice many wandering mantis souls. To continue your quest, talk to Fifth Column Mantis, who will prompt you to find a Phoenix Tower Key. 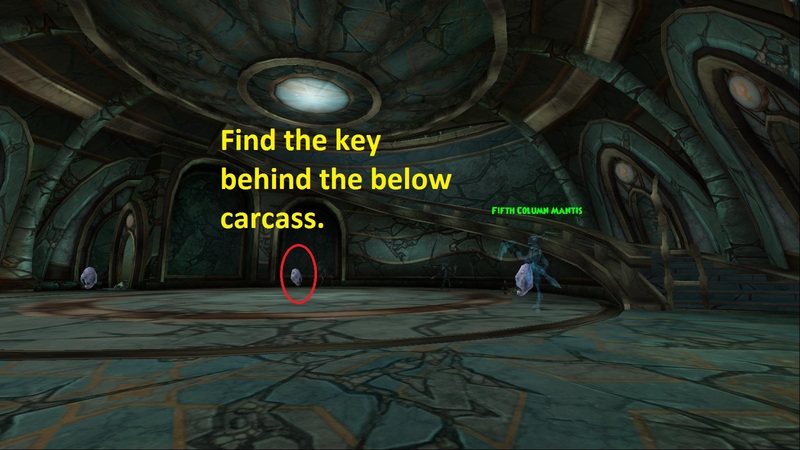 The key lies behind one of the mantis carcasses (circled on the below picture). After you find the key, make your way upstairs to duel Papa Jacobo (Fire, 19,864 health) and his Rattle Catcher (Myth, 4,617 health). This fight has no cheats, but Papa Jacobo can cast efreet. Bring along some cleanse charm just in case! Otherwise, you can blade up and feint the boss for a big hit like usual. Once the deed is done, you can collect the phoenix egg and be on your way. Congrats on finding all 4 celestial zodiacs! The rest of Khrysalis awaits you.